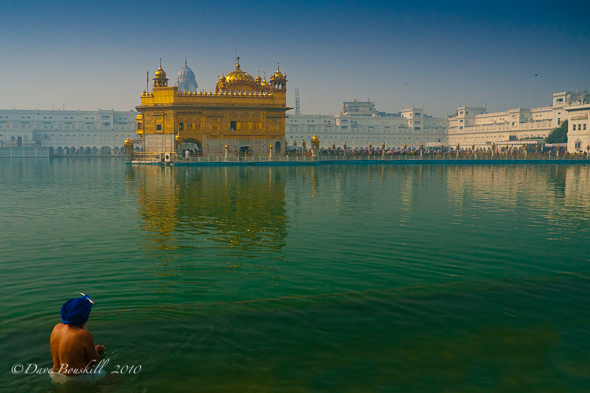 We had been back in India a mere two days when we made our way to Punjab to witness the Golden Temple. Dave had only one place on his list of must sees in India, and the Golden Temple of Amritsar was that place. Sikkhism’s Holiest site, this temple welcomes all to enjoy its beauty and spirituality. We awoke early after arriving late on the sleeper train from Delhi. Our hotel was only a 5 minute walk from the temple and as we donned our headscarves and checked our shoes we knew that we were about to enter something special. 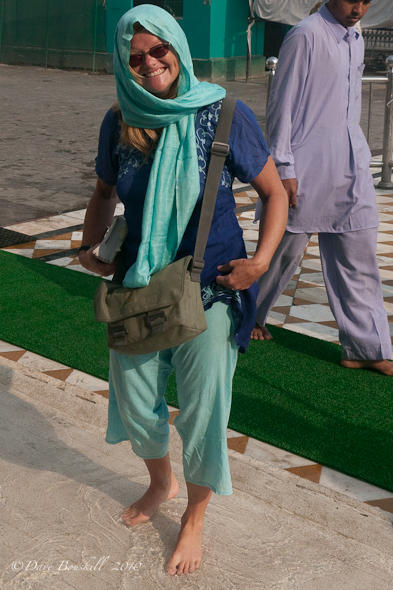 Men and Women must cover their heads out of respect before entering the Golden Temple and like so many other Holy places, shoes must not be worn. This temple has a little twist to walking barefoot however. Before entering, we walk through a foot bath to ensure our feet are clean.